The Rotary Club of Horsham is an active and busy club under the Rotary International umbrella. We exist to provide our members with a variety of opportunities to give back to the local, national and international communities while enjoying the fellowship of like-minded people. We are an innovative and flexible club and have a number of categories of membership within our club, including Full, Corporate, Honarary and Friends and welcome members of any gender, race, colour or crede. One of our main focusses is on youth and we sponsor and support Rotary Interact Clubs in several local schools, as well as sponsoring local participants in the Rotary Young Leaders (RYLA) and Rotary Overseas Awards (ROVA) programs and various national youth competions (e.g. Youth Speaks, Young Musicion, Young Writer...). 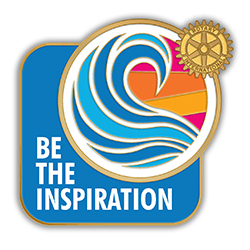 Use the links on the left to find out more about Rotary and our Club.